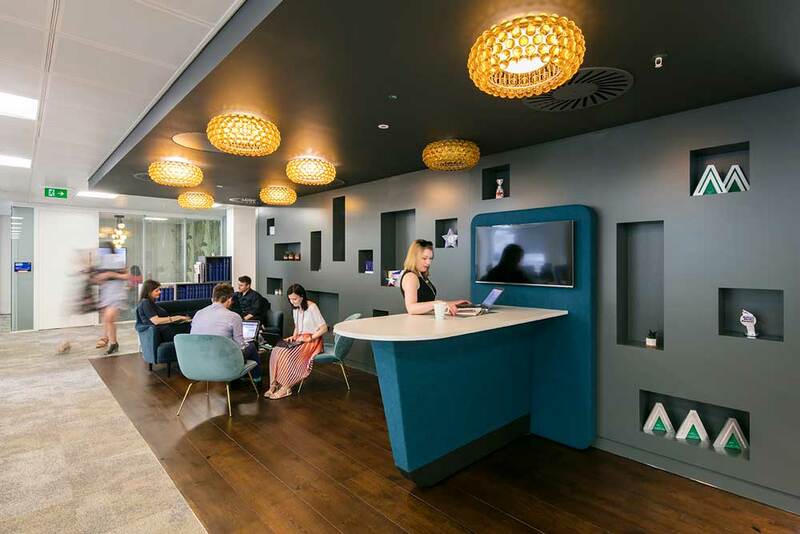 The design brief on this project for Ascential PLC was to create a modern funky cool, vibe with a beautiful, timeless and elegant feel to the space. Integrating the Ascential brand as established on the recently finished Paddington project was also an important aspect to the design. 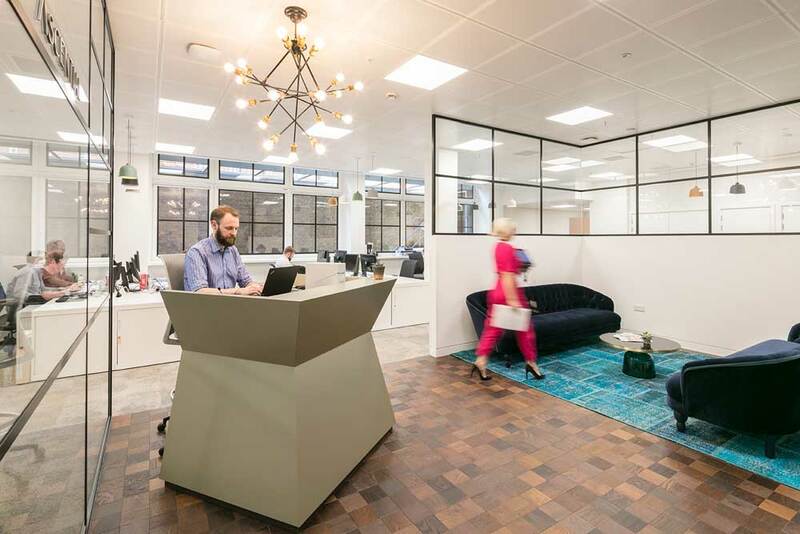 The design language developed has created bold and inviting spaces with the use of gunmetal grey, wooden floors, patterned tiles, copper, velvet and bright colours. 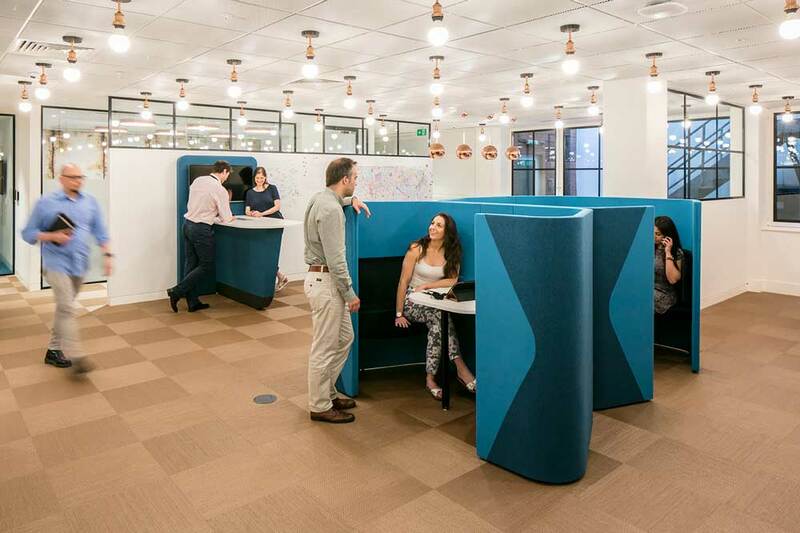 A new reception area was created on the ground floor; a sculptural concierge pod was introduced to welcome guests and visitors. 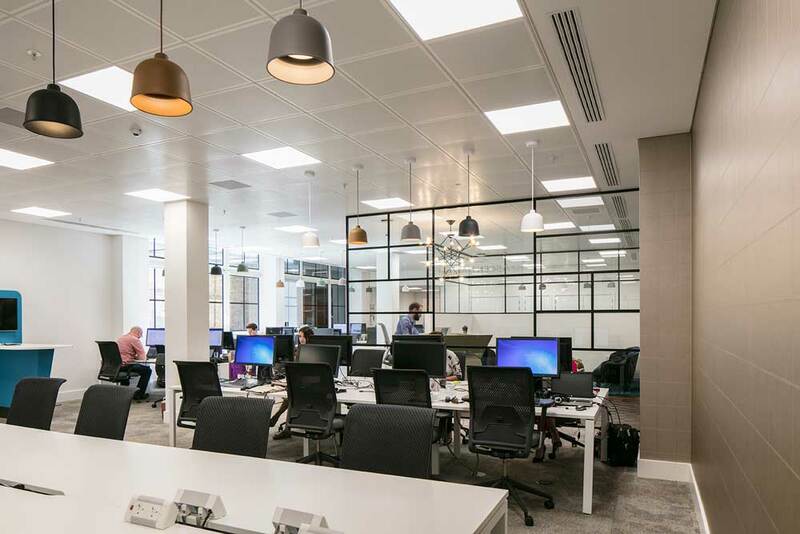 The use of Crittall style glazing enabled the space to be divided seamlessly with maximum visual impact. 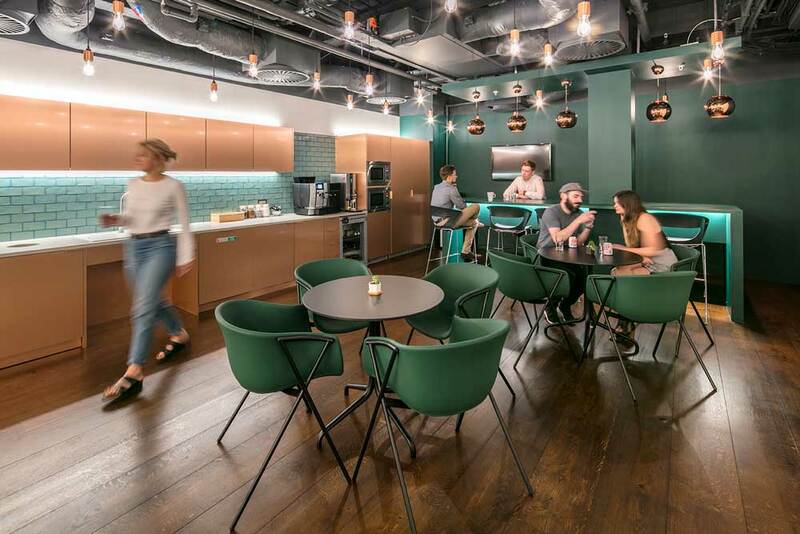 The tired office space on the lower ground floor has been transformed into a vibrant new breakout and working space with its own bar area. 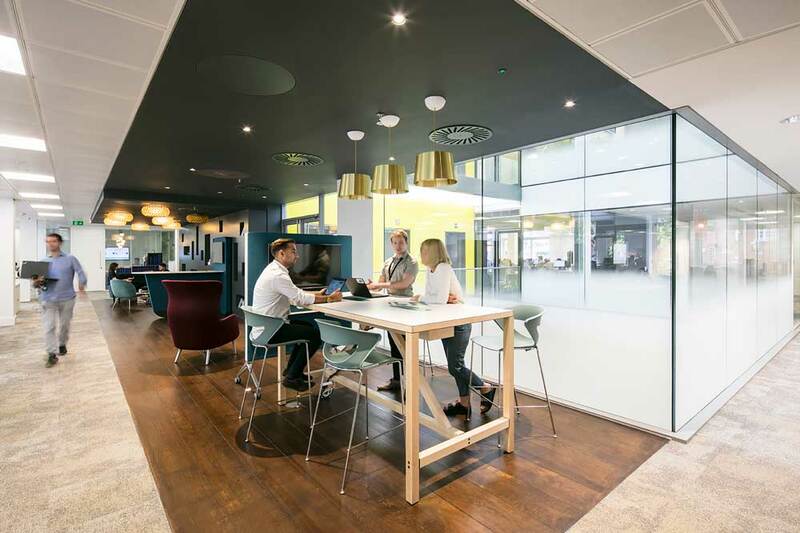 A combination of furniture and lighting solutions has allowed the space to re energise this area lacking in natural light. A new training, meeting and wellness room was also introduced into this space. 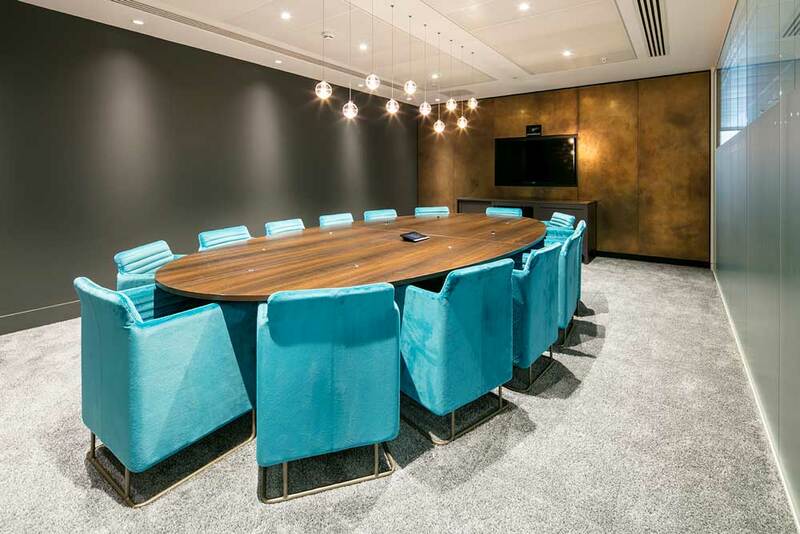 The design of the boardroom on the first floor creates a sumptuous meeting space. The bronzed panels, dark walls and plush carpet forms the backdrop to highlight the sculptural form of the delicate glass pendants over the table. This elegance disperses to the breakout areas where a hot pink velvet banquette and feature showcase wall navigates the user around the symmetrical floor plate. 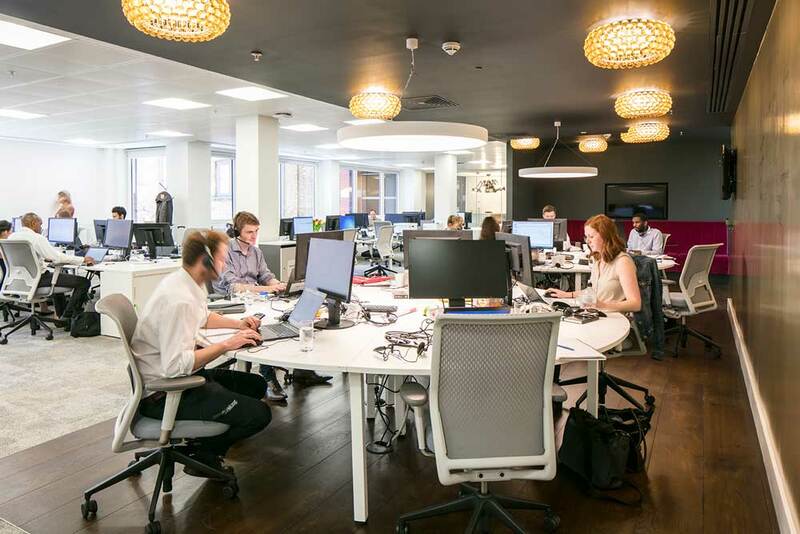 The fresh air and cooling to the first floor office space was increased to allow the floor capacities to be maximised. 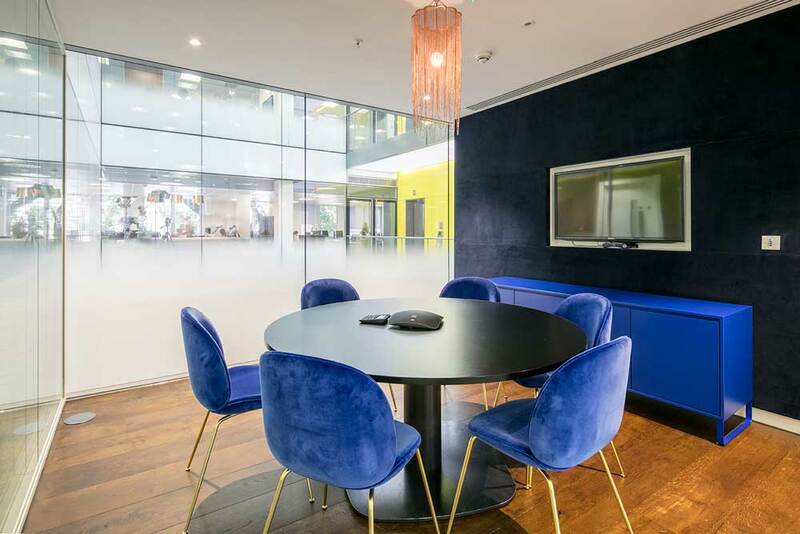 Large circular tables were used as part of the space planning of the large first floor office space to facilitate the sales staff’s working practices. 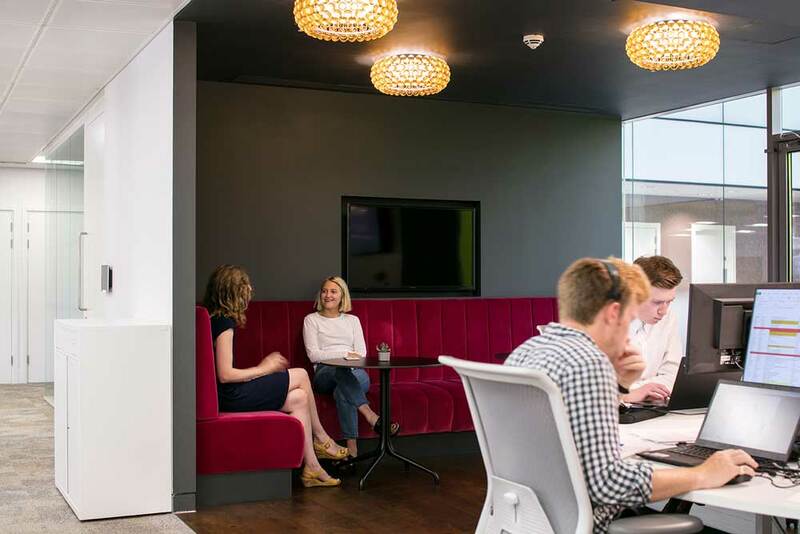 You will be hard pushed to find a team more passionate about design than those at Create. An eye for detail and ear for everything in between. From start to finish they will provide excellent communication and offer advice where needed. They listened to the vision and delivered perfectly. As a result we have a beautiful office that serves our staffs needs and requirements.